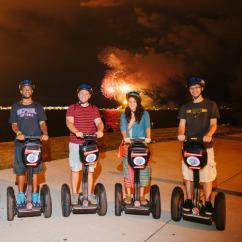 From pizza to pedaling, culture to cocktails, fireworks, and so much more — experience the sheer delight of Chicago guided city tours! 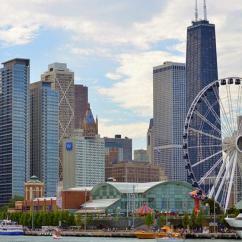 There are countless things to do in Chicago. 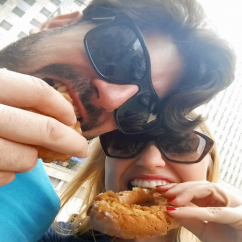 Among this infinite list are the city's food tours, featuring an array of ways to eat, drink and be merry. 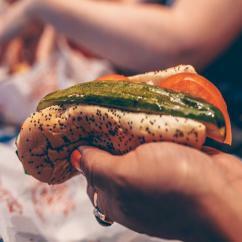 Enjoy an all-encompassing experience of the Windy City's most mouthwatering cuisine, fascinating histories, unique districts, rich entertainment and more — the Walking Food Tour of Chicago is a must-do for locals and visitors alike! 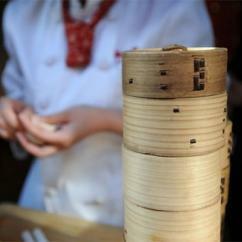 Explore the sights and sounds of the city's most diverse neighborhoods. 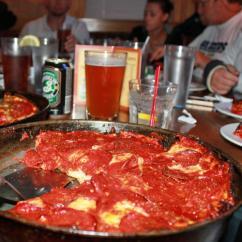 Indulge in tastes of classic, Chi-town style pies, accompanied by refreshing libations on the Chicago Pizza and Cocktails Tour! 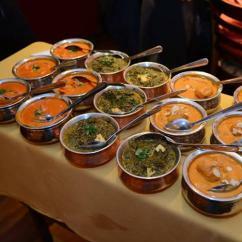 Or wander through culture-infused streets on food tours that blend Chicago sightseeing with the authentic eats of renowned areas like Little India, Chinatown, Little Arabia, Bucktown and Wicker Park. 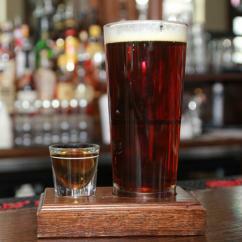 Give a hearty "Cheers!" to Chi-town while diving into the riveting stories of spirits' past on the Prohibition Cocktail Tour. 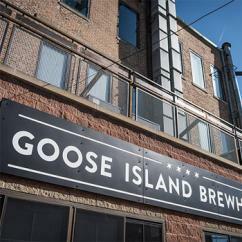 Engage in one of America's most intriguing blasts from the past, featuring people and places to see in Chicago that shaped this famous dry era. 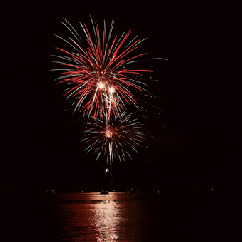 Take a stroll down memory lane, while sipping on forbidden fruits of the 20s and 30s! 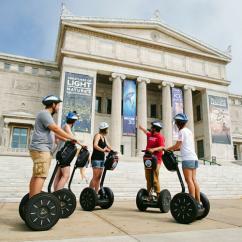 Maybe you prefer to move 'n' groove your way along Chicago guided city tours? You've come to the right place! 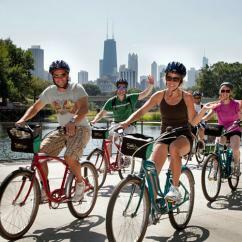 Check out the very best things to see in Chicago with Cloud 9 Living's unique collection of ways to get around that go beyond walking. 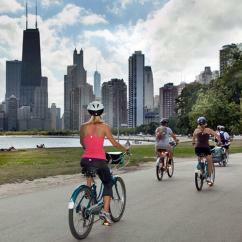 Hop on a bike and pedal your way to famous Chicago attractions! 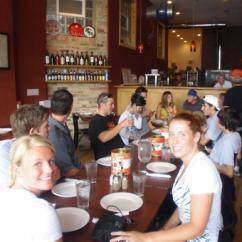 Coast by the scenic Lakefront, enjoying the fresh air of Lake Michigan and the awe-inspiring views of the skyline. Check out the city's skyscrapers in the warm glow of sunset. 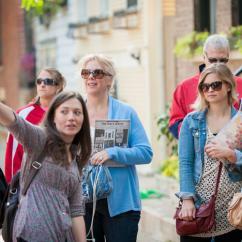 Roll along the South Side turf for an up-close and personal exploration of the homes, hideouts and hot spots of renowned mobsters like Al Capone. 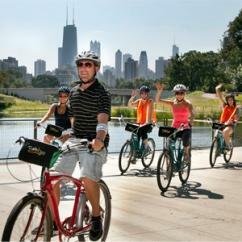 Or take sightseeing in Chicago by storm on the ever-popular Bikes, Bites, and Brews Tour; indulge in the most tempting local eats and treats while cycling through areas like Wrigleyville, Gold Coast, Old Town, and Lincoln Park. 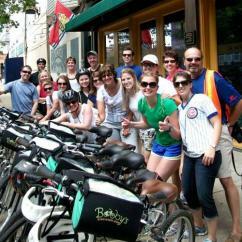 Want to put a super-unique twist on Chicago guided city tours? 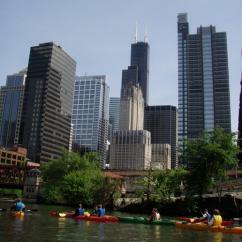 Check out urban architecture, evening fireworks, and downtown landmarks like Navy Pier, The Field Museum, Millennium Park, Soldier Field, and much more by either kayak or Segway!